We’re incredibly excited about getting to know you and your family. This page should answer any of the questions you may have about our weekly services and upcoming events. If we missed something, feel free to get in touch with us on our contact page. Welcome! 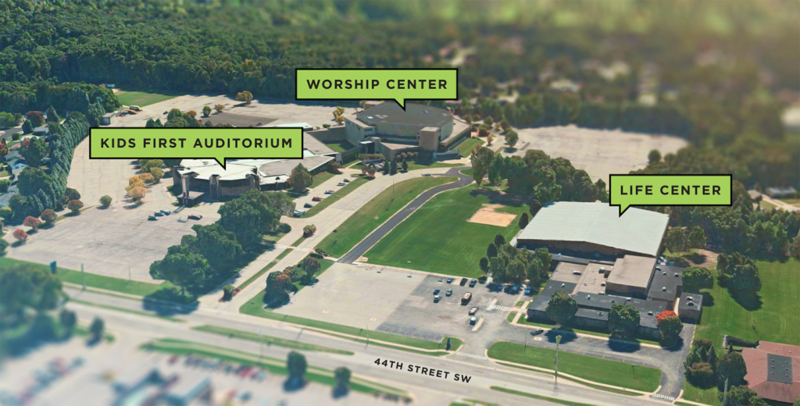 We hope that you will find Grand Rapids First to be a warm, inviting group of friendly people who love God. We care about you and we believe that you can only achieve real fulfillment and greatness when you come into a relationship with Jesus Christ. This is a church of people like you. People with the same hopes and dreams. People you’ll soon call friends. We look forward to seeing you soon! Grand Rapids First wants to be a part of teaching your children to love God with all of their heart. The high-energy Children’s Ministry is led by a remarkably creative staff that provides an environment your children will love. They’ll have so much fun they won’t want to miss a single Sunday!